On behalf of GeoForAll, we would like to welcome you to our next webinar which might be of interest to wider community.Details on the webinar on Friday December 2, 2016 at 7:00 PM GMT and how to connect remotely below. The proliferation of geospatial analysis tools and methods means that no matter what your analysis goals, there are likely several options for running analysis, generating data, and visualizing your results. With a wide selection of tools to choose from, you are also presented with the question of which tool is most useful, has highest performance and efficiency, and easiest to use for your case.Here at the National Renewable Energy Lab (NREL), we had the unique opportunity to start fresh with building a new analysis model, and had to decide which technologies would be most useful. We eventually ended up primarily using Python for analysis, and PostGIS and Geoserver for visualization. Deciding on those tools took a fair amount of testing and comparison. 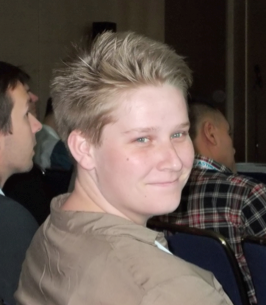 This webinar will discuss the different tests we ran, our findings, and why some tools appeared to be better suited for our case than others.Analysis tools discussed in this webinar will include PostGIS vector analysis, PostGIS raster analysis, Python analysis of vector datasets, Python vectorized analysis of raster datasets, Python multiprocessing, and Geoserver visualization. We thank Rafael Moreno and colleagues at the University of Colarado Denver, USA for their help in organising the GeoForAll free webinars for the benefit of the wider community. Today, nearly 800 million people suffer from hunger and malnutrition around the world. For the first time in human history, we have the knowledge and the tools to put an end to it. 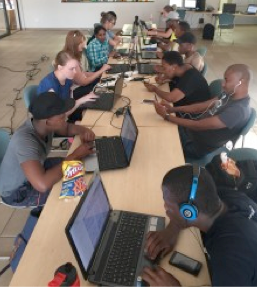 Open data makes that knowledge available to everyone . 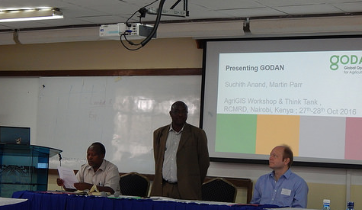 The GODAN initiative was announced at the Open Government Partnership Conference in October 2013 following 2012 G8 discussions. Participants made commitments to Open Data for Agriculture at the International Conference on Open Data for Agriculture in Washington D.C. Subsequently the Governments of the United States and United Kingdom partnered to form this global initiative. OPEN FIELDS is the second episode of GODAN’s new documentary web series that meets individuals around the world who are on the frontline of how technology and data are reshaping agriculture to combat food insecurity and improve global nutrition. In this episode, viewers meet Eunice, a successful smallholder farmer who lives outside of Mombasa, Kenya. 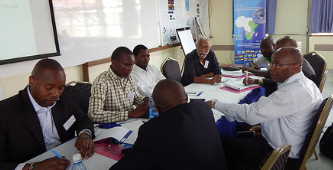 In Kenya, around 80 per cent of people have access to some form of farmable land. Although the soil is rich and fertile for farming, many plots of land stand empty or with failed crops.In the Mombasa region, Haller Foundation (a GODAN partner) have been working with local farmers for 50 years to design organic methods to improve crop production and also provide a solid economic stream for rural families. 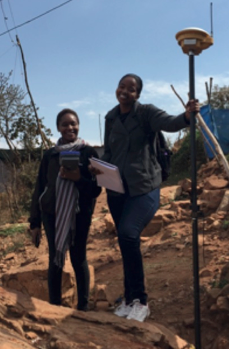 Eunice has found success in maximizing her crop yield by using the open-source mobile phone app from the Haller Foundation. With an estimated 83% of Kenya now online, largely through mobile phones, Haller Farmers App has been developed to digitise and release local knowledge on a global scale, to anyone, anywhere. The application is free to use for anyone with a smartphone and internet access. 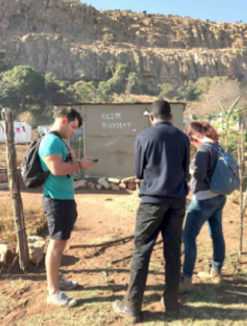 They have also worked with Free Basics and Airtel Kenya to improve rural access for low income families, providing free data to download and use the app. Let us now all work together on our joint mission to get every government, non­-governmental, international and private sector organization to make agriculture and nutrition data available, accessible and usable so that we acheive the United Nations Sustainable Development Goal on End hunger, achieve food security and improved nutrition, and promote sustainable agriculture. 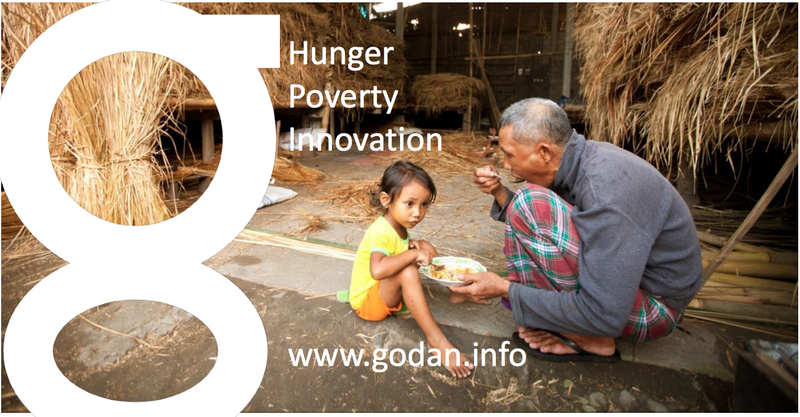 So please join the Open Data Revolution to end global hunger and together we can make this possible. 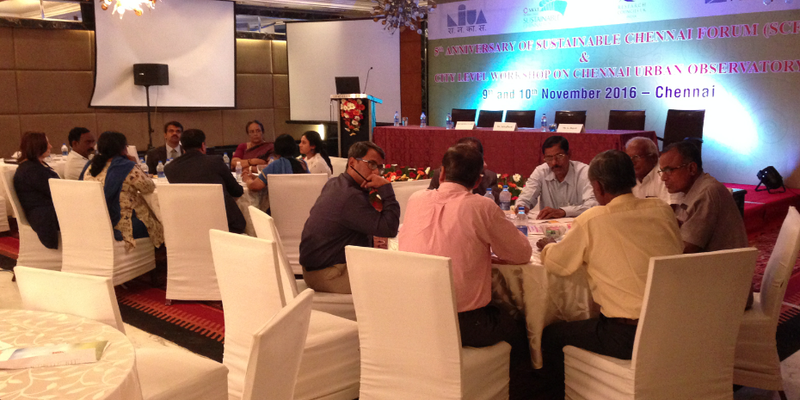 The City level workshop on Chennai Urban Observatory was organised as part of the UK-India Joint Network on Sustainable Cities and Urbanisation in India and held on 9-10 November 2016 at Taj Club House in Chennai., India The main objective of this workshop was to bring together academia, government organisations, NGOs, industry representatives to discuss ideas and to develop a framework for Urban Observatories relevant to Chennai and was held as part of the 5th Anniversary for Sustainable Chennai Forum . The theme of the event was Chennai as a Global City. The RCUK funded SMARt ciTIES is lead by Professor Michele Clarke (University of Nottingham) and Dr. Ajith Kaliyath (National Institute of Urban Affairs, India) brings together a consortium of multidisciplinary, international researchers with expertise spanning education and social science, cultural heritage and urban planning, science and engineering, ecology and environmental sciences and information technology to develop new collaborative solutions to the multi-layered challenges of rapid urbanisation. 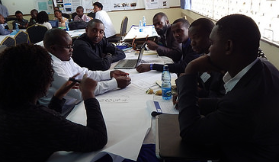 The Network includes leading urban researchers from University of Nottingham, University of Birmingham, University of Southampton, Bishop Grosseteste University College, Loughborough University, Northumbria University, Nottingham Trent University and University of Surrey from the UK. From India there are urban researchers from Jawaharlal Nehru University, IIT Delhi, IIT Kharagpur, IIT Roorkee, Indian Institute of Population Studies Mumbai, Indira Gandhi Institute of Development Research Mumbai, Institute for Social and Economic Change, Bengaluru and Tata Institute of Social Sciences, Mumbai from India. The workshop started with welcome address given by Mr Ram Venkataramani, President Madras Chamber of Commerce (MCCI). 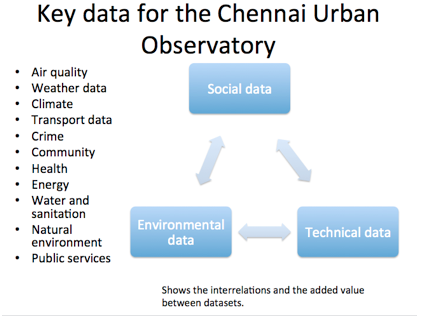 In the Inaugural session , Dr Ajith Kaliyath (Indian Principal Investigator, NIUA) highlighted the fact that Chennai is one of India’s smart cities and Chennai is now linked with other local, regional, national and international city sites. Prof. Michele Clarke (UK Principal Investigator, University of Nottingham) gave the context of the joint network model . She also highlighted the need for multidisciplinary approach for sustainable development (Fig 1). The Inaugural session had keynote address on “Visioning Chennai as a Global city” by Dharmendra Yadav (Secretary to Government, Housing and Urban Development Department and Vice Chair CMDA Chennai) . Mr Yadav highlighted that Urban growth in India is enormous and so are the challenges. This was followed by thematic session on Chennai as a global city with presentations on “the Role of Trade, Industry and Government” by Dr. Vijay Pingale (Joint Secretary, Industries Department, Government of Tamil Nadu) . In his presentation on “Socio-economics dynamics in the city” Raghuttama Rao, (Managing Director IMACS) highlighted that Tamil Naidu economy is the second biggest in India by GDP with Chennai representing only 20% of the total. Chennai is the fourth largest metropolitan area in India. This was followed by presentations on “Making cities efficient and liveable” by K. Venugopal (Director, Kasturi and Sons) , “Data to intelligence” with examples from UK and India from Suchith Anand ( University of Nottingham) and presentation on “Human and material mobility” by Gitakrishnan Ramadurai (Department of civil engineering, IITM). In the afternoon session on 9th November focused on “building a roadmap to how we can achieve a road map to a sustainable, affordable urban observatory that provide data you need.” Professor Michèle Clarke (University of Nottingham) set the scene by her short presentation on “Smart Cities: two contrasting examples from Britain” . The examples shown were Bristol and Newcastle both of which are port cities and share some characteristics with Chennai. Both have set out to create data to better understand their city. The Newcastle smart city web site is hosted by the University of Newcastle in collaboration with the city council and other city stakeholders – ‘ScienceCentral’. The Newcastle system is pragmatic in its use of existing data (including citizen science e.g. weather observers). The system makes little use of social data – although it has the potential to include in the future. There is a need to have a discussion about the use of data type and how these might best help citizens manage their business and social lives. The Newcastle web site is developing all the time as extra data is being added to the site. The Newcastle example provide a good way to start any smart city project but its long term future is unclear i.e. its funding basis is not clear. It’s important to have contractual agreement with all those providing data. The system also offers scenario modelling possibilities for traffic, energy, flooding and other critical pathways. The Bristol model is different in that the City Council is hosting the data/web server and is the main driver. The city centre has a square mile of 5 MG Wi-Fi which is hoped will allow people and infrastructure to exchange data in real time anywhere within the city centre. The system has clear privacy protocols. Both are two different systems but are science driven; Council and Universities working in collaboration with involvement of wider stakeholders. This was followed by presentation from A. Shankar (National Direct Head – Strategic Consulting, Urban Solutions, JLL) who gave an overview of Chennai Smart City proposal followed by Chennai master plan by Mr Shivshanmugam (Member and Chief Planner, CMDA Chennai). These presentations brought together sharing of research and ideas to set the scene for specific discussion on topics on Challenges of global cities, Role of technology in governance, Institutional ecosystem and need for capacity building. On 10th November (day two) there was presentations on Knowing matters; doing delivers (RV) , Data to actionable intelligence ( Professor Michèle Clarke, Associate Pro Vice-Chancellor, University of Nottingham). Michele highlighted the importance of open source data and the need for multi-disciplinary approaches to smart city data generation. Open data can be generated and shared freely to enhance confidence in the policy making process. This was followed by presentation from Professor Sudhir Chella Rajan ( Department of Humanities and Social Science, IITM, Chennai) on Conceptual Foundations of the Urban Observatory in which he highlighted that periurbanisation of Indian cites has seen a massive increase in recent years – New Bombay, New Calcutta. He highlighted the need for establishing ‘urban labs’ to better understand the middle space between ‘rural’ and ‘urban’. 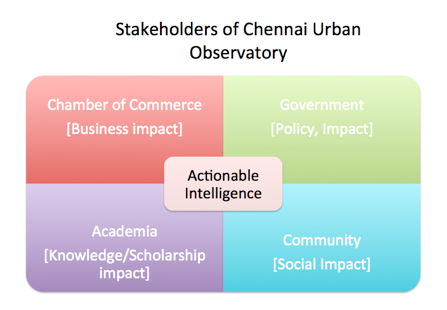 This was followed by group discussions key topics on Opportunities under Smart City, Chennai, Data needs for Chennai Observatory, Enabling citizen engagement and Establishing global network. The presentation to the High level panel also outlined the expected outputs/impacts; critical pathways; work packages (WP1 – WP8); sustainability and long term aspects for example, Key platform based on Web based free and open source Geospatial mapping to ensure low investment and operation costs, options for customisation and long term scalability; legal and institutionalisation; the way forward and future funding ideas. High level panel provided feedback that this project is very important and highlighted that if the project is to succeed it needs a technical secretariat to make things happen. The secretariat mush be full time and use government, universities and university students (through projects) to collect and organise the data. The workshop concluded with Vote of thanks from Gayathri Sriram ( Vice President Madras Chamber of Commerce (MCCI). 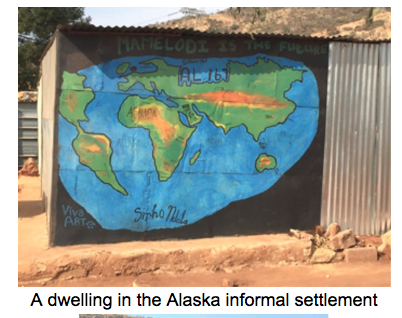 On behalf of GeoForAll community, I am pleased to share the latest edition of our newsletter. Thanks to Dr Nikos Lambrinos (Chief Editor) and our amazing team of editors for making this possible. 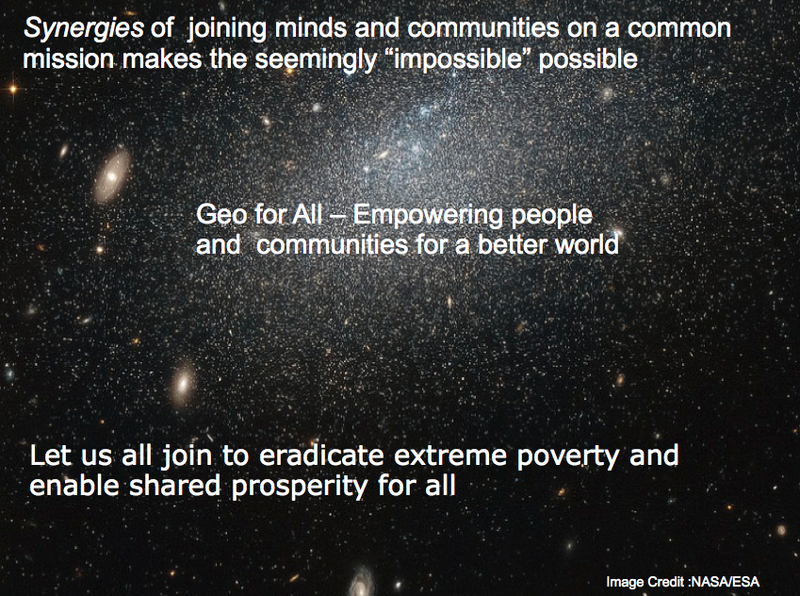 GeoForAll’s mission is make geospatial education opportunities open to all and to make sure we all work together to create global citizens contributing to the betterment of humanity. Please be our GeoAmbassadors and share these ideas with all. Open principles in education (open educational resources, free and open software, open data, open standards etc) are key for true empowerment of staff and students globally and making education and opportunities accessible to all . We look forward to working and building collaborations with all interested in this education mission. Access to quality education and opportunities is key for getting rid of extreme poverty and enabling broadly shared prosperity for all. The Open Source Geospatial Foundation is the world’s largest Geospatial ecosystem , so we welcome you to the huge network of our partners and collaborators globally from governments, industry , universities, NGOs worldwide that you can connect to expand your ideas rapidly. Open innovation is key in driving Digital Economy opportunities and we are determined to make sure that everyone benefits. Happy GIS Day 2016 to all. May i request all who are taking part in various Geo events (Geography Awareness Week, OSM Geo Week, GIS day etc ) to make use of the opportunity to promote Open Principles in Education by sharing information on GeoForAll and welcoming those interested to be part of Open Principles in Education . Everyday is a GeoForAll Day . So please share GeoForAll ideas  everyday from now to your colleagues, students and be our GeoAmbassadors. 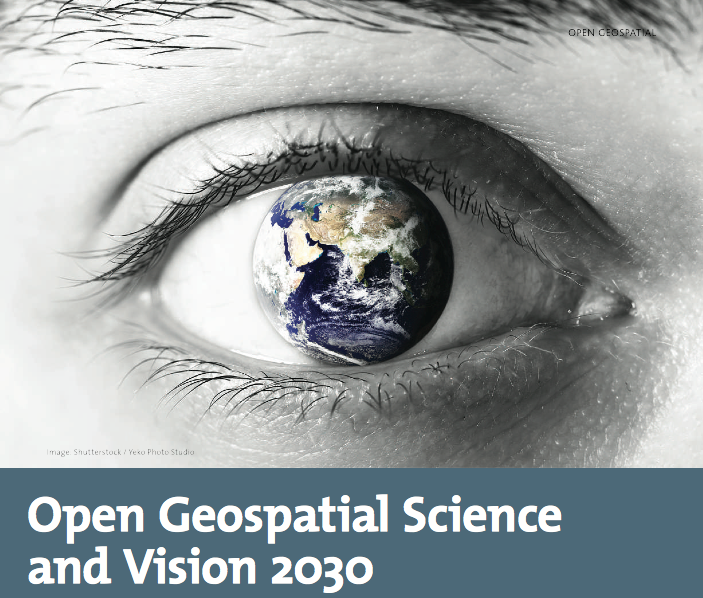 The Open Source Geospatial Foundation is the world’s largest geospatial ecosystem benefiting not just millions of users globally but also hundreds of thousands of organisations globally from big organisations like Google to smaller companies like esri, Envitia etc are all benefiting from this rapidly expanding ecosystem. Open source software and open data are the backbone that underpins much of the service delivery across the public, private and consumer sectors of the world economy. Governments, industry ,start-ups are leveraging open source software and open data to accelerate innovation in Geospatial. Economic impact of open source software on innovation and the competitiveness of the ICT sector is huge as many studies have shown. Open source is not only a catalyst for business growth, but also a key driver and enabler of future success for many startups today. Google has shared thier annual Open Source Report Card, highlighting thier most popular projects, statistics and detailing some of the projects they have released in 2016. I thought it is really good idea and it will be good if more organisations start producing their annual Open Source report cards. So I request volunteers to help us produce a simple webform which can be outputted to a website with search facilities etc for collating information that will help all business and government organisations to produce thier annual open source report card . We will also link this website with GeoForAll website and archive it etc. 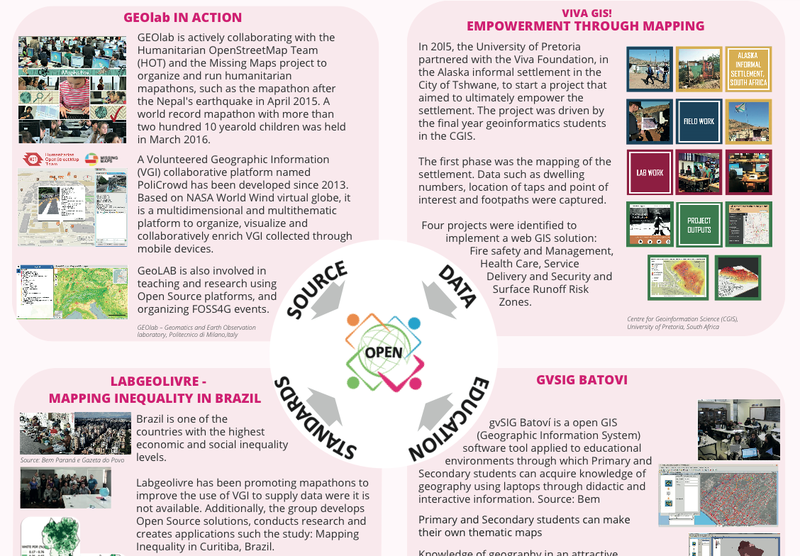 We will be pleased to collate and publish this as an annual special edition for Geo4All newsletter. Could anyone help us with this. Please let Nikos or myself know if you are interested . Thanks in advance. May i request all who are taking part in various Geo events (Geography Awareness Week, OSM Geo Week, GIS day etc ) to make use of the opportunity to promote Open Principles in GeoEducation by sharing information on GeoForAll and welcoming those interested to be part of Open Principles in Education. Please give away OSGeo Live DVDs, USBs  and share GeoForAll ideas  at these events. Open principles in geoeducation (open educational resources, free and open software, open data, open standards etc) are key for true empowerment of staff and students globally and making geospatial education and opportunities accessible to all  . We look forward to working and building collaborations with all interested in this education mission. Access to quality education and opportunities is key for getting rid of extreme poverty and enabling broadly shared prosperity for all. Millions of globally connected minds working together on the common mission of enabling Open Education opportunities for everyone will be key for making these developments possible. An idea whose time has come is the most powerful force in the universe, and the time for “Access to quality education opportunities for everyone” has arrived. It is my great pleasure to introduce our colleagues at Department of Geoinformatics, Palacký University in Olomouc, Czech Republic as our “GeoForAll” lab of the month. I thank Dr Rostislav Netek for providing all the background information and photos of the activities of the lab which is summarized in this article. “The Department of Geoinformatics, Palacký University in Olomouc, Czech Republic is a leading department in Czech Republic in fields of Cartography nad Geoinformatics. It guarantees the bachelor study, the master study and PhD study. 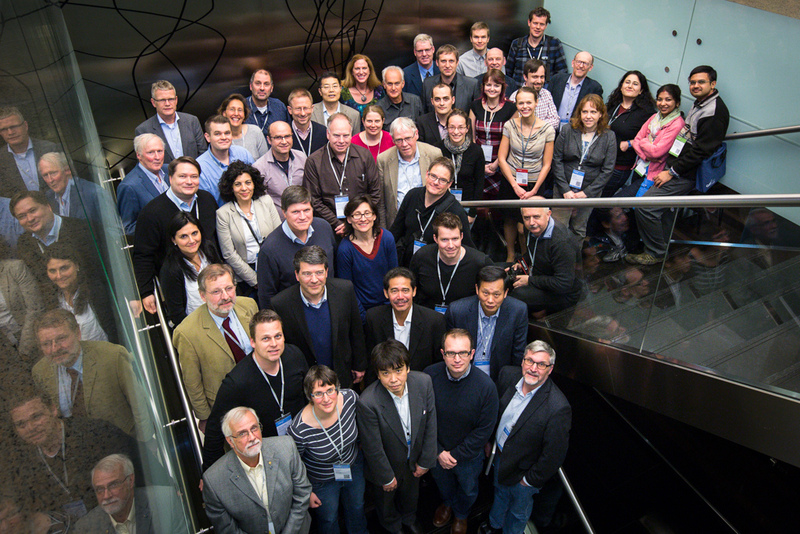 They are the 100th member of GeoForAll. 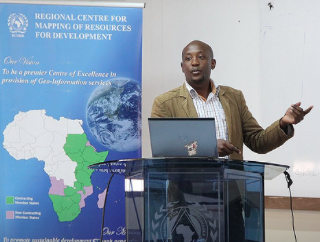 In research, their staff focus their activity on geoinformatics topics, development and application of GIS as well as free and open source solutions. The Department of Geoinformatics was founded in 2001. Nowadays, the Department of Geoinformatics is a separate academic department that offers high quality education and research. It is renowned both nationally and internationally. The main fields are geoinformatics and geoinformation technologies in education and research, and their promotion, both in the Czech Republic and abroad. Its activities encompass teaching in the field of geoinformatics with special emphasis on geographical aspects, research projects that follow international trends and promotion of modern geoinformation technologies in all spheres of the Czech society. The Department owns two specialised laboratories for geoinformation systems and remote sensing and one research laboratory for the eye-tracking technique in cartography. It uses state-of-the-art equipment and software. Its teaching activities are accompanied by cooperation with prominent national commercial companies in the field as well as renowned foreign universities. The teachers do their best to react to the individual needs of students of bachelor, master and doctoral programmes enabling them to take part in research projects, work and gain experience in commercial companies and excel in national specialised student contests. 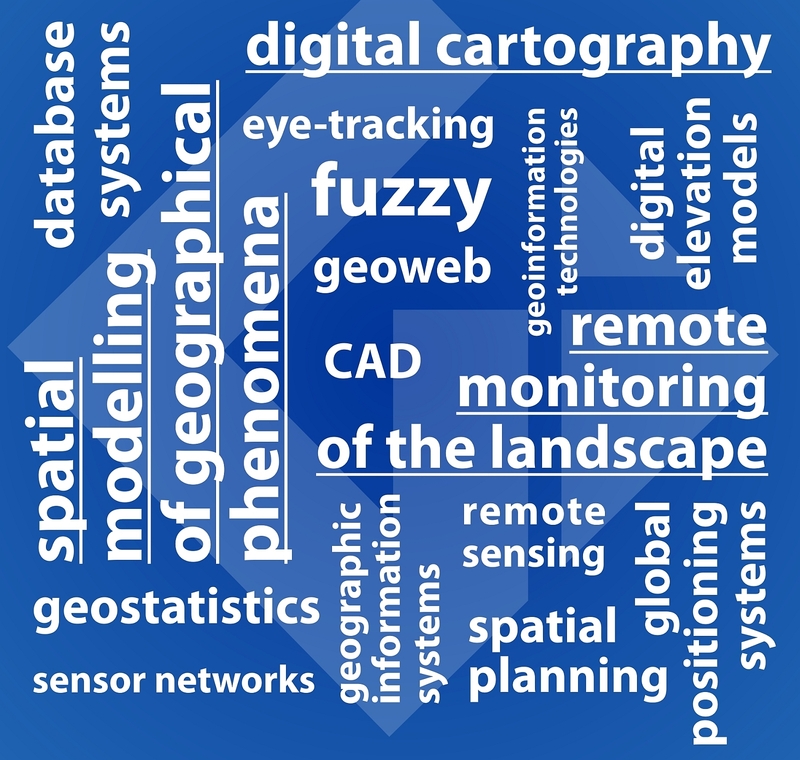 The Department of Geoinformatics is a centre of education and research as well as popular activities in the field of geoinformatics and cartography on national and international scale. Olomouc Geoinformatics Colloquiums (OGiC) – Invited lectures by prominent foreign experts aimed at academics and the professional public that take part in the activities of the Department of Geoinformatics. 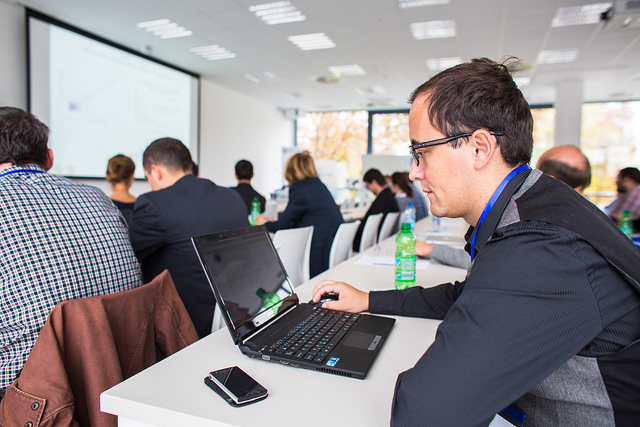 An autumn Olomouc (Podzimni Olomouc) – week of lectures and workshops made by external experts from both academic and commercial community, especially focused on technologies, new solutions, etc. In February 2014 The CARTOCON Conference took place at thier Department – the biggest carto conference in middle Europe ever, many prominent visitors from all over the world, four ICA commissions meetings, etc. cz – Czech local (mini)conference for Free and Open source Software for Geoinformatics (foss4g) took place at their Department last week! 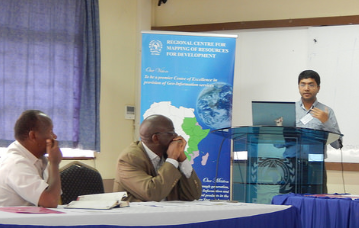 In research, the staff focus their activity on general geoinformatics topics, development and application of geographical information systems, remote sensing, data processing, thematic and digital cartography, landscape spatial modelling, spatial planning in GIS, etc. 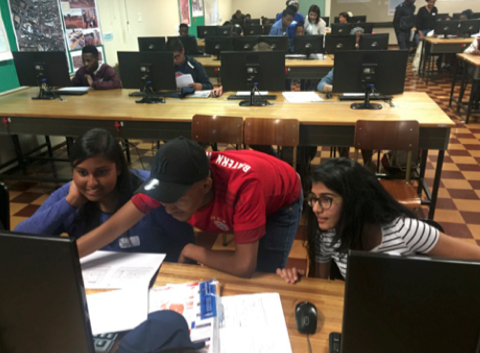 Currently, the Department‘s activities concentrate on research fields: Spatial modelling of geographical phenomena in GIS, Digital cartography, Remote monitoring of landscape, (Open source) GI technologies. The Department of Geoinformatics cooperates with a number of public institutions and private companies. The cooperation can have the form of a project, commissioned job or student work. The longterm partners are primarily the Czech Hydrometeorological Institute, the Czech Statistical Office, the Regional Authority of the Olomouc Region, the Olomouc Municipal Authority,the SmartGIS company, the Forest Management Institute and the Transport Research Centre, local representation of OSGeo Foundation, etc. Every year, many of their students study abroad at universities all across Europe. There are many contractual partner universities as part of the ERASMUS and CEEPUS programme, e.g. the universities of Bochum, Vienna, Valencia, Salzburg, Belgrade, Krakow, Lublin, Trondheim, Sofia, Budapest and other European cities. Similarly, thier Department receives students and teachers from Poland, Hungary, Spain and Serbia. Recently, they have been able to host among others Richard LeGates, Carsten Jürgens, Lászlo Zentai, Tamas Janczo, Maik Netzband, Ranka Stanković, Dagmara Kociuba, Branislav Bajat, Krzystov Kalamucki, Monika Michálková or Bela Markus, who give lectures as part of the Olomouc Geoinformatics Colloquium (OGiC). Especially Assoc. Prof. Vilem Pechanec and Dr. Rostislav Netek are deeply focused in their research into FOSS solutions and technologies. Both of thier lectures and research take benefit from many open source solutions – thier server runs on Apache, webpages are powered by WordPress, for GIT/GIS on server-side they use UMN Mapserver, Geoserver, PostgreSQL, PostGIS, SpatiaLite. They also offer every academic year specialized courses such as Scripting in GIS (Python) , GIS online and Web Cartography (Leaflet, OpenLayers, Geoserver), Statistices (R-project), Dynamic web (HTTP Apache, PHP), Freeware a Open Source (GDAL/OGR, FWTools, …), most courses are supported by QGIS software and OSM datasources. Thier staff are involved in membership or open source groups (OSGEO at international level, GeoForAll, OSGEO/FOSS4G at local level ,FOSS expert group within Czech Association for Geoinformation, Open data activities). We thank Rostislav and all colleagues and students at the Department of Geoinformatics, Palacký University in Olomouc, Czech Republic for their contributions to the GeoForAll initiative and look forward to working and building more collaborations with all interested on this education mission. Happy GIS Day greetings to all.